I am not sure where this is located, but it is spectacular. I was reminded of La Chute Montmorency which is just outside Quebec City. 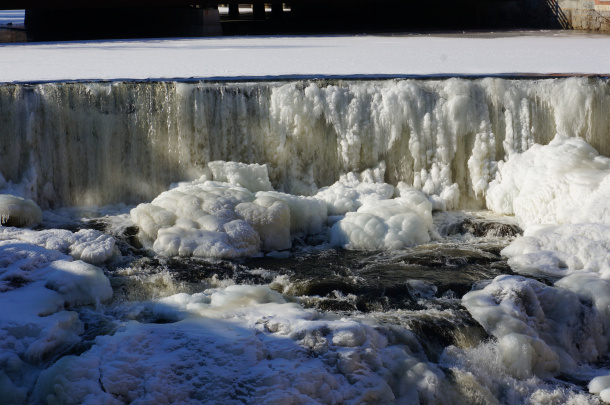 Despite the power, during the winter they partially freeze up which contrasts the power of the falls during the summer months.